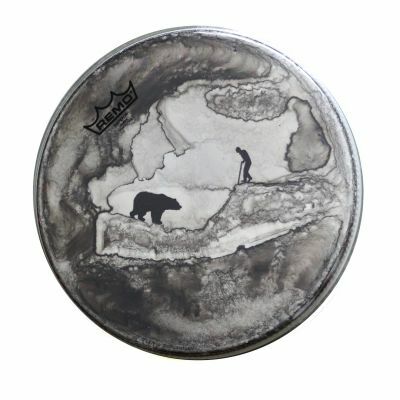 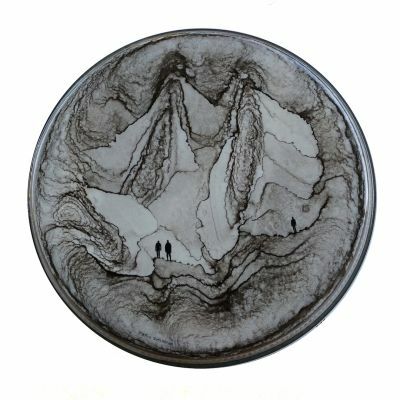 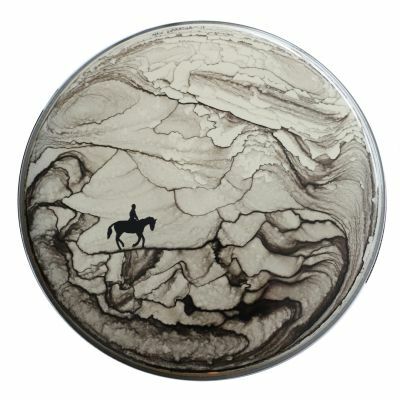 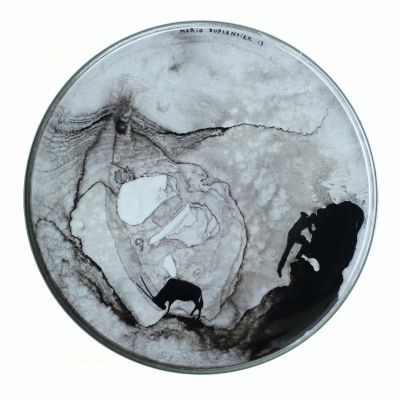 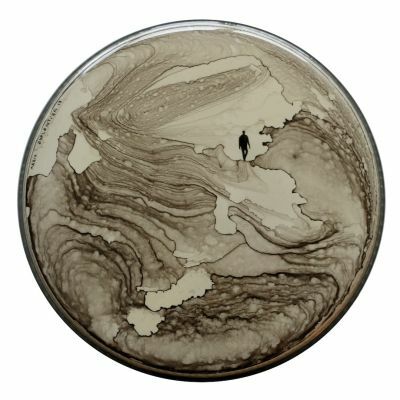 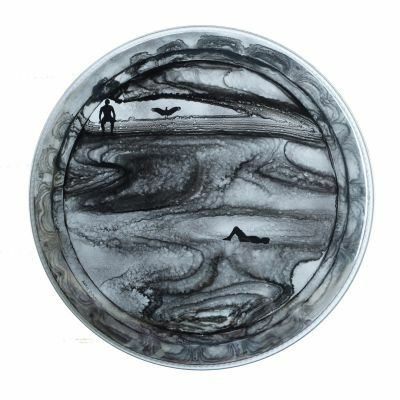 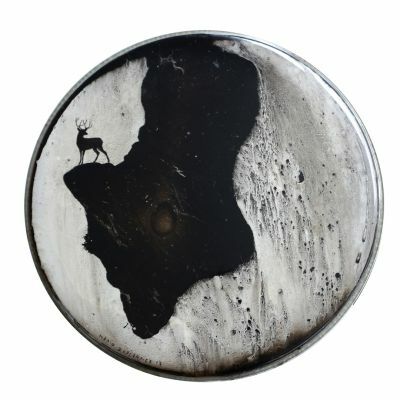 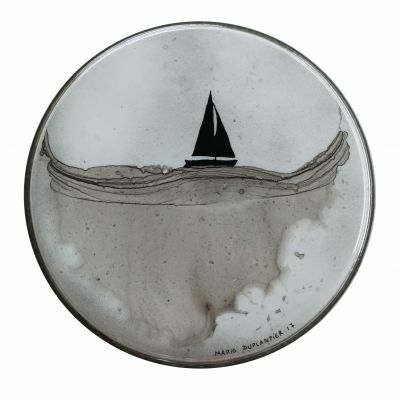 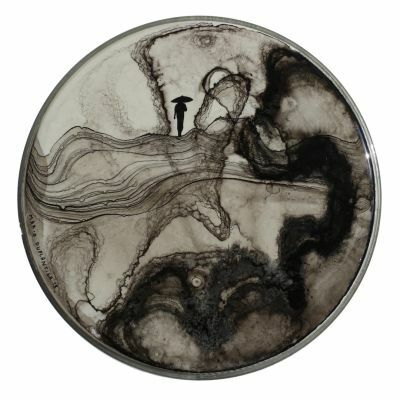 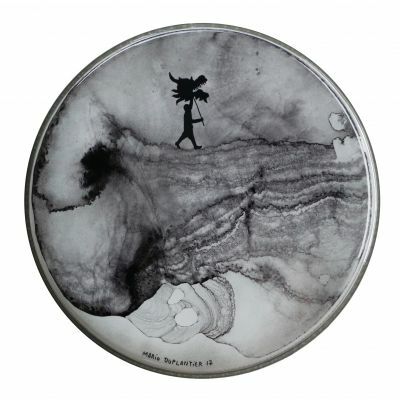 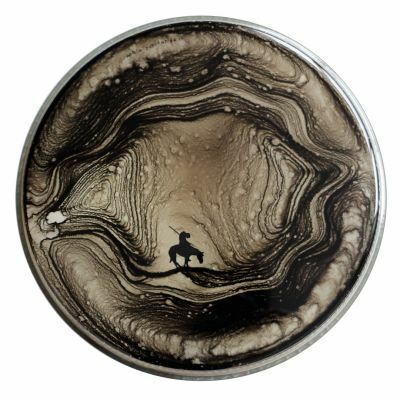 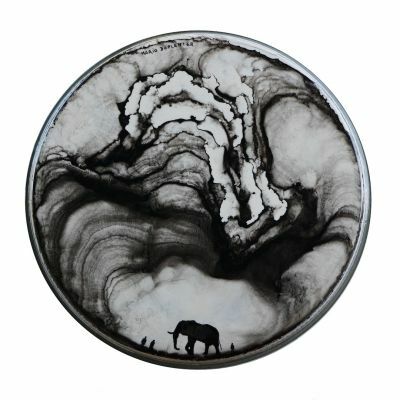 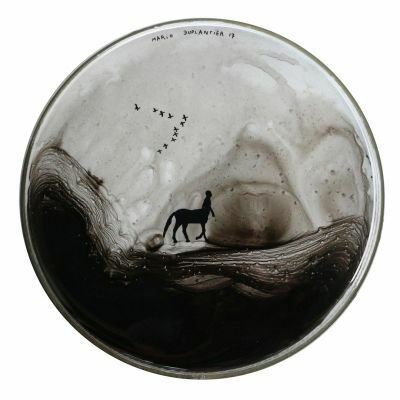 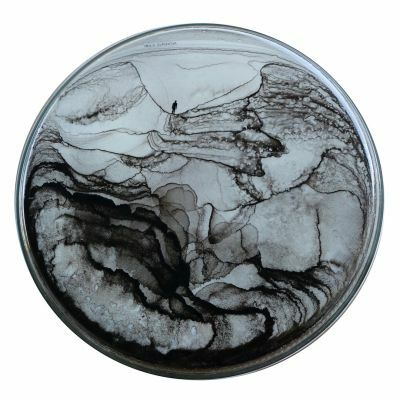 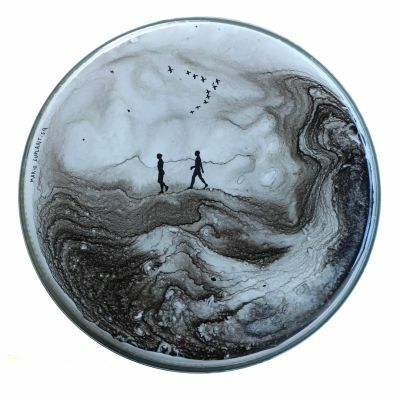 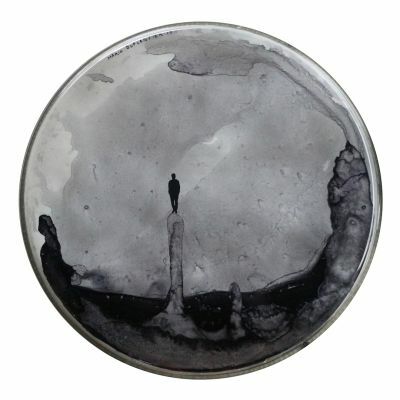 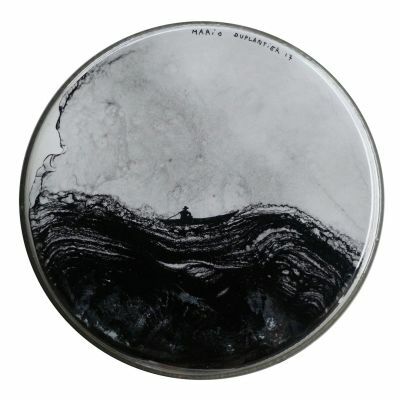 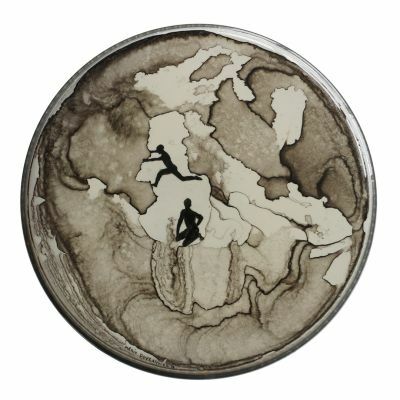 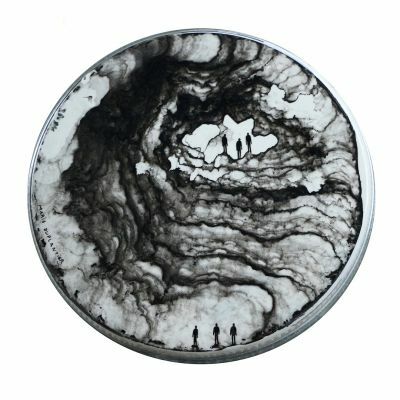 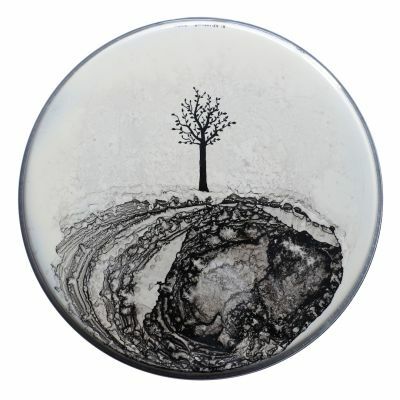 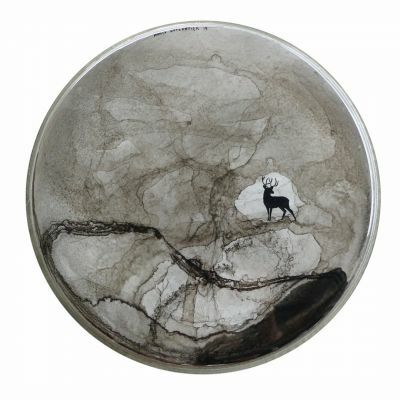 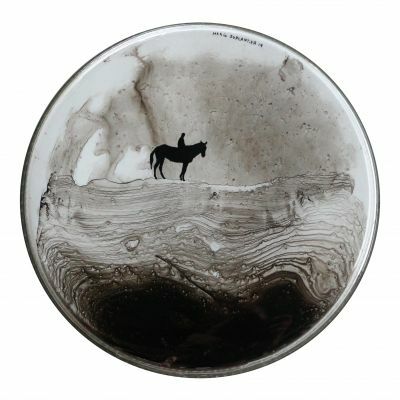 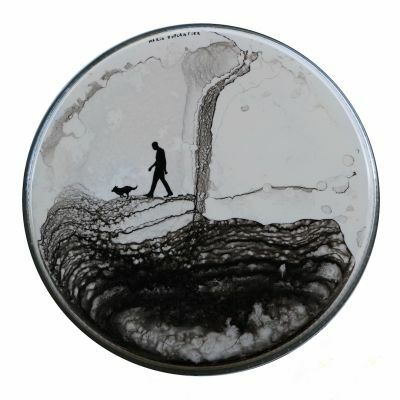 LA GROTTE GEANTE – THE GIANT CAVE is a series of paintings on drumheads made during the Magma Tour in the U.S. and Europe in 2017-2018. 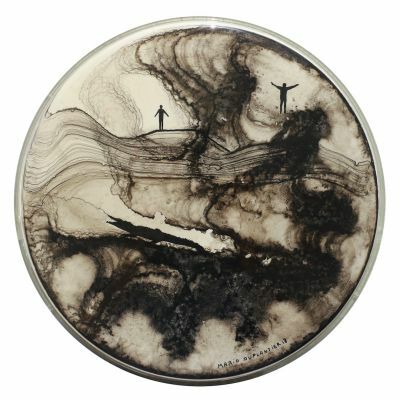 The artwork was created using only the vibrations of the tour bus, different climates, and unique lighting. 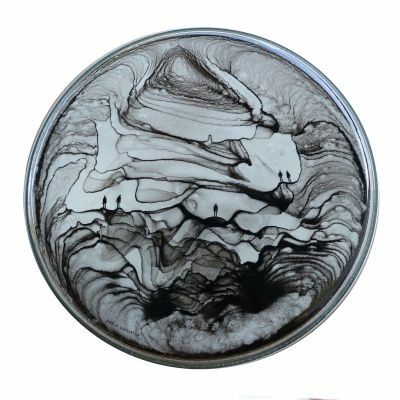 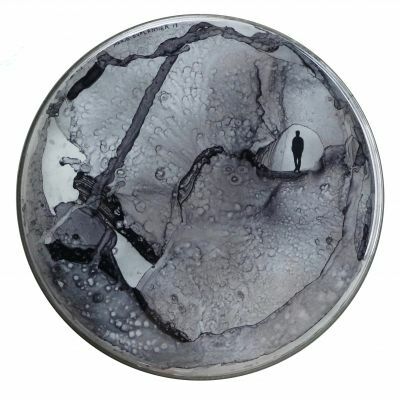 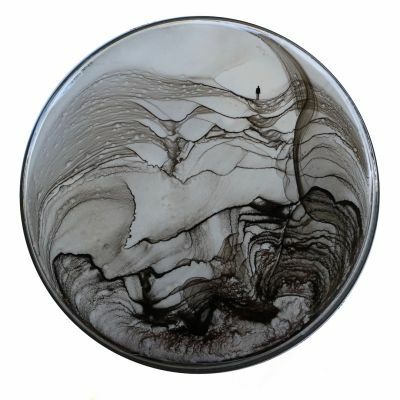 All of which resulted in an ink drying process that gives this series it’s own distinct spirit.